This brilliantly themed, all-you-care-to-enjoy buffet in Animal Kingdom offers more unique, African flavors as well as traditional American favorites. As opposed to Chef Mickey’s, where you eat to pass time until the characters reach your table, Tusker House’s amazing food will make you forget you’re at a character meal. Characters include Mickey, Donald, Goofy and Daisy dressed in safari gear, which is close enough to the Fab Five for me. They also spend much more time at your table and sometimes even see you multiple times in a meal. Finally, the buffet area is beautifully themed as an outdoor African market and is spread out enough to avoid that awkward buffet line. 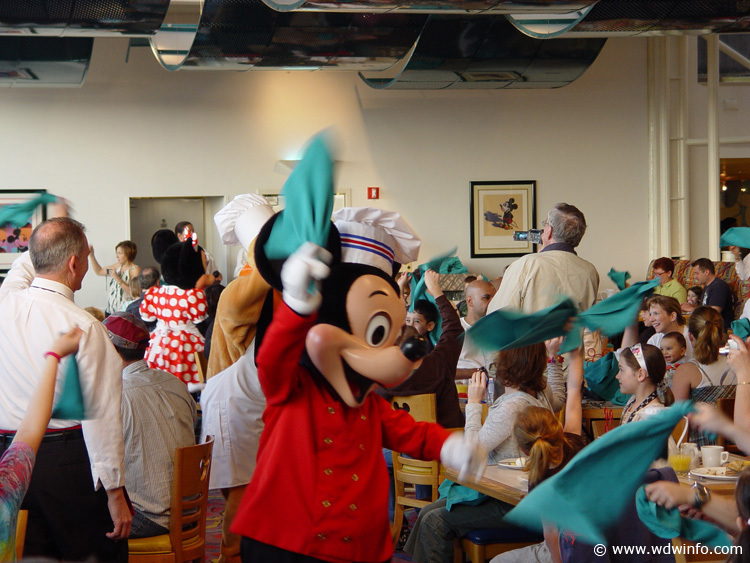 All in all, this is the best character meal on property and one of the best dining experiences in general. I recommend you go for lunch for more time with the characters and a lower price than dinner. 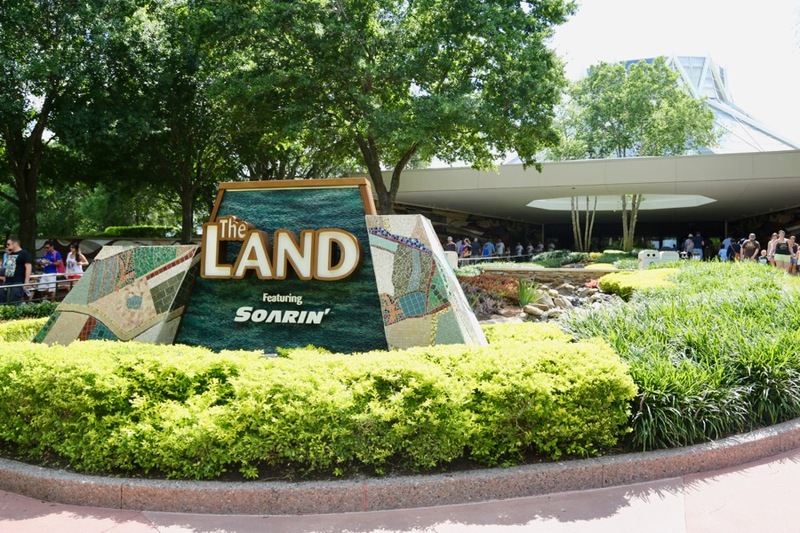 I may just be a Living with the Land nerd, but Garden Grill’s growing popularity tells me other people love the theming, food and character interaction just as much as the fact that you’re literally eating inside a Disney attraction. Let’s be honest, the biggest draw to this restaurant is that you rotate while you’re eating and see multiple scenes of Living with the Land. However, the Thanksgiving-style food, mostly prepared from the greenhouses in the Land pavilion you’re in, and the characters also make Garden Grill an awesome experience. 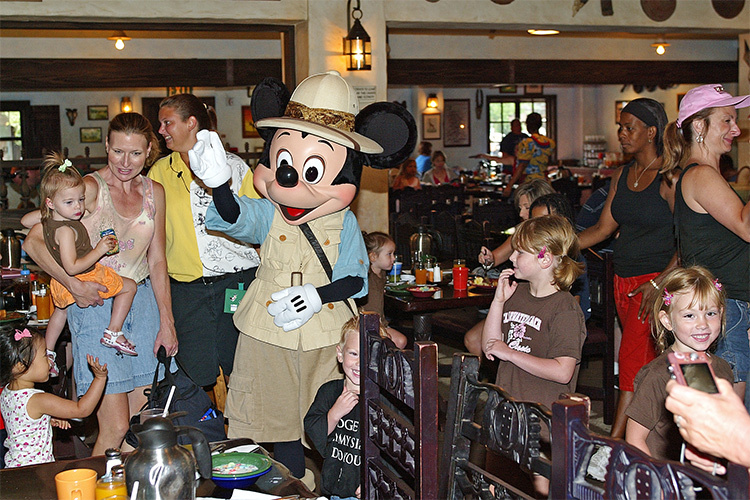 If seeing Mickey is a main reason you’re considering Chef Mickey’s, he is also here, dressed in farmer’s clothing. Along with Pluto, Chip and Dale, the character interaction is all around better at Garden Grill. Finally, if you’re like me, buffets with hoards of people crowded around trays of food that has been under a heat lamp for God knows how long can be unappealing. But the food at Garden Grill is served family-style in huge portions directly to your table, piping hot from the kitchen. Best part is, you don’t have to leave your table and risk missing the characters. Come to Garden Grill for a fun and unique character meal. Like Tusker House and Garden Grill, Crystal Palace is in the parks, which saves you an extra trip to a resort for a character meal. While the Fab Five doesn’t reside here, you can eat with Pooh and Friends in a beautiful replica of the Crystal Palace in Hyde Park, England. Furthermore, this location is hard to beat: right between Main Street and Cinderella’s Castle. 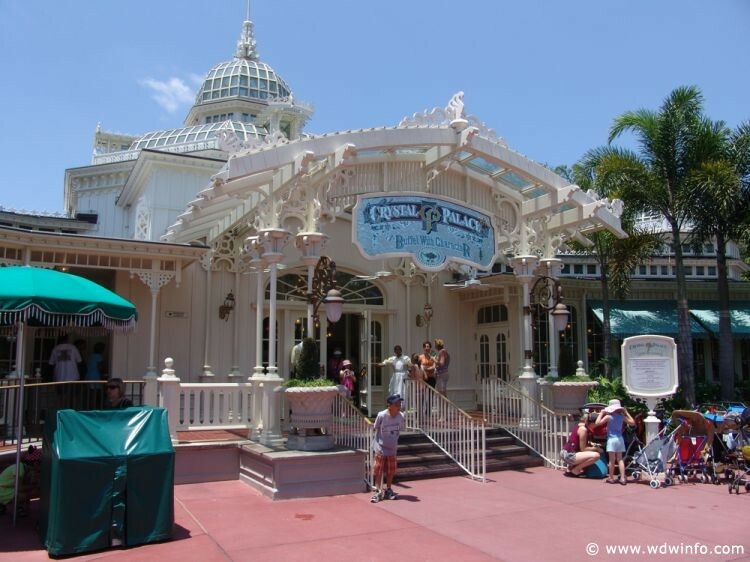 An added bonus is that you can make a reservation here earlier than park open. You can walk around an empty Main Street and take pictures with the castle without random people cutting in front of the camera. Between this and the puffed french toast, I strongly recommend you come here for breakfast.